In the last two decades the global population profile has changed more than at any time in history. One in every ten people is now aged 60 or more. By 2050, that figure will rise to one in five. “The human rights community has also been slow in realizing that the global agenda and the advocacy efforts at the national level can no longer ignore the rights of older persons. 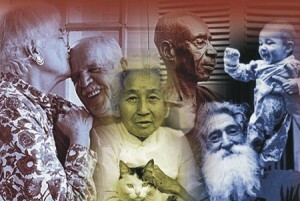 Observing that two thirds of the world's older people live in low- and middle-income countries, Pillay called on Governments to introduce social pension schemes for older people and to adopt adequate measures in such areas as housing, health, transport, access to water and personal security to ensure that they are not discriminated against or left unprotected and that they enjoy an adequate standard of living. In her message, the High Commissioner also encouraged civil society organizations to widen the scope of their work and become more active on the rights of older people. “Every one of us must prepare for old age,” she said. The UN human rights chief added that older people are assets to society and can contribute significantly to the development process if given the opportunity. “As such, they need to be empowered and their participation ensured,” she said.